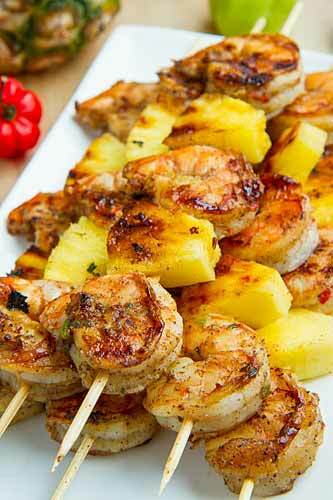 Marinate the shrimp in the the half of the jerk marinade for at least 20 minutes and up to over night, skewer the shrimp and pineapple and grill over medium-high heat until cooked, about 2-3 minutes per side. 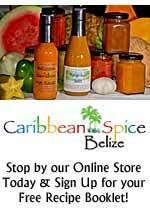 A quick and easy homemade jerk marinade! Tip: Scotch bonnet peppers can be a little hot so you may want to start by adding half a pepper, test the heat level and continue adding more until the marinade is as hot as you want.